Costas Charalambous | Zimmer Group US, Inc.
Tell us a little bit about Zimmer Group and the products you provide. Zimmer Group has been a world leader in end-of-arm tooling and automation components since 1980. We currently offer over 2,000 standard off the shelf grippers, rotary actuators, robotic accessories, and linear clamping and braking products. Has the popularity & demand for electric grippers increased over the years? Yes, the demand for electric grippers has definitely increased over the years and this demand has driven electric grippers to become more efficient, more powerful and faster. The first generation of electric grippers that came out over a dozen years ago were very slow, and fairly weak compared to similar sized pneumatic grippers. The current generation of electric grippers can equal or better their air driven counterparts in grip force and speed, and also offer much more data feedback then was possible with pneumatics. In what applications would someone use an electric gripper instead of a pneumatic gripper? Applications in which the environmental/atmospheric conditions are controlled are usually applications where having a pneumatic gripper is undesirable. Clean room, medical, pharmaceutical applications, etc. We are also seeing a growing number of users of the collaborative robots looking toward electric grippers as well because some electric grippers offer more control and adjustability than pneumatic ones. What are the advantages of using an electric gripper? The most obvious advantage, NO COMPRESSOR! Running a compressor is inefficient, noisy and expensive. Electric grippers, mainly the ones driven by servo or stepper motors, can give you much finer control over gripping forces, speeds, etc. The stroke of the jaws can now be programmed, allowing a single gripper to pick up a wide variety of parts and grip with a delicate touch for some and a strong grip for others. Electric grippers can offer more precise positional feedback, so in some cases you can sense if the part being picked up is out of tolerances. Many electric grippers have built in position sensors and therefore also eliminate the need and added expense of additional proximity or magnetic sensors, their cordsets, and associated distribution blocks. What are some different types of electric grippers available now? There are electric grippers that are driven by different types of motors (DC gearmotors, stepper motors, DC and AC servo motors). Usually a motor is driving some sort of a geartrain, worm gear, or rack an pinion system to move the jaws. Grippers can also be actuated by coils or solenoids. These types of actuators usually just push a linkage to move the jaws. What kind of electric grippers does Zimmer Group offer and what sets your grippers apart from others? 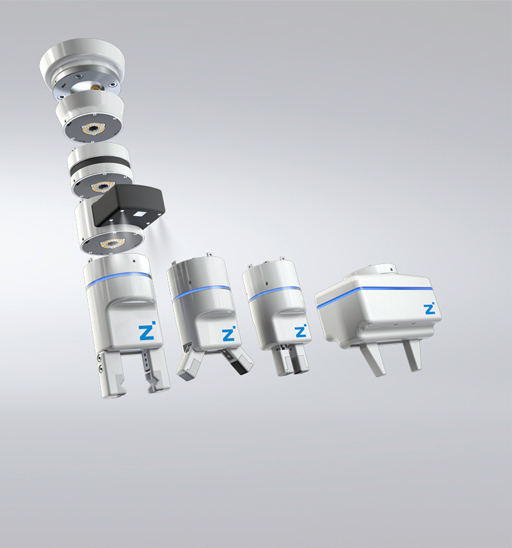 Zimmer Group spans the entire range of electric grippers. From our simple coil actuated GEP9000 series grippers which can actuate at a rate of over 250 times a minute, to our GEP5000 series which offer the same performance and 30 million cycle lifespan as the class leading pneumatic 5000 series, to the new GEP2000 series which is one of the most versatile, cost effective electric grippers in the market, to our long stroke GEH6000 series rack and pinion driven servo grippers which are fully programmable stroke, force, , and speeds. We also continue to expand our line of HRC or true collaborative grippers as well. Still another way we differentiate ourselves is by our adoption and integration of IO-Link technology in many of these models. 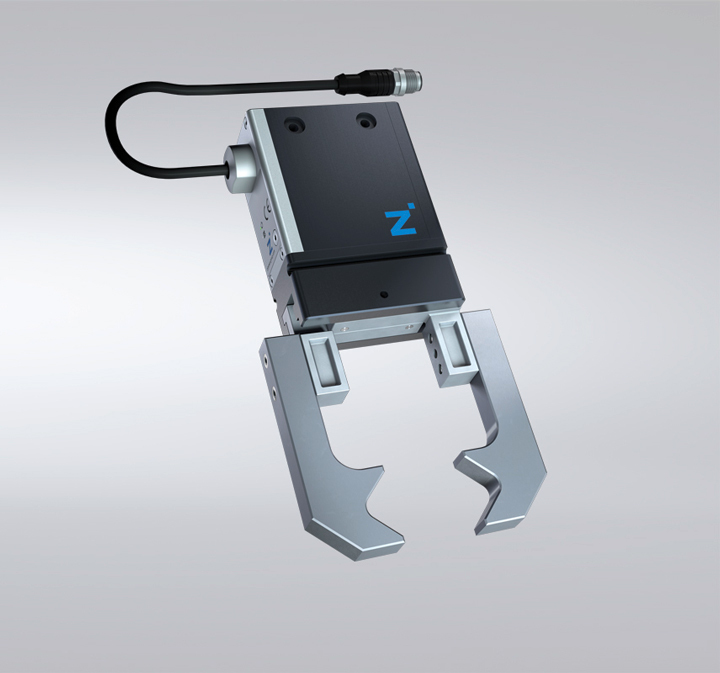 We have seen the growing trends towards “Industry4.0” and have decided to implement offer IO-Link interconnectivity in most of our electric gripper models. This allows for seamless plug and play between fieldbus systems and our gripper control systems and gives us the opportunity to send more diagnostic data back from the grippers than ever before. Look into the future several years, do you see new technology coming down the pipeline that will continue to improve grippers? How is Zimmer Group working to stay on top of the rapidly changing manufacturing and robotics market? We are always developing new technologies proactively instead of reactively. 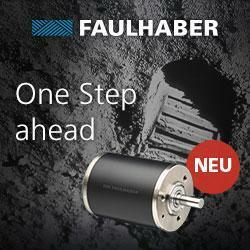 We were the first manufacturer to produce a fully safety rated collaborative gripper. One of the first to adopt IO-Link interconnectivity. We are always trying to stay ahead of the curve and offer solutions that truly make the end users job of integrating end of arm tooling easier. About Zimmer Group US, Inc.
ZIMMER Group is based in Rheinau – Freistett, Germany and is a family-owned and operated company. Today, the company is among the leading manufacturers in the automation industry and our standardised solutions for mechanical and plant engineering have become globally recognised as quality products. Moreover, ZIMMER Group views itself as a highly skilled supplier of technical services for planning, construction, production and installation of mechanical components.